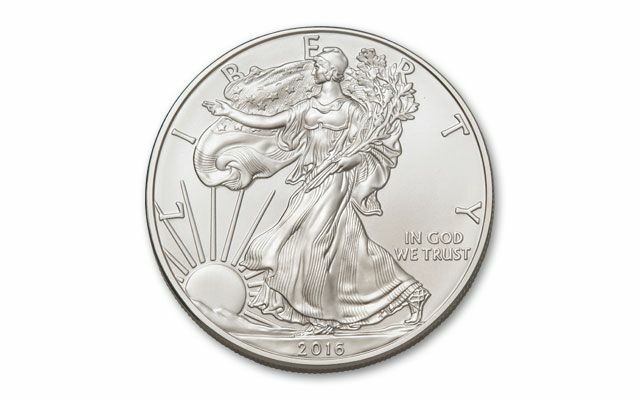 Each 2016 Eagle Silver Dollar represents America's finest silver displayed in all its splendor. This year marks two important milestones for this beloved Silver Dollar: the 30th anniversary of the Silver Eagle series and the 100th anniversary of the Walking Liberty design, the inspiration for the Silver Eagle's obverse. 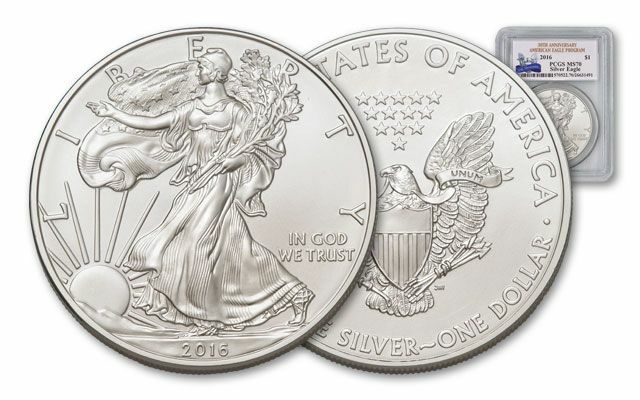 Like the original, each Silver Eagle features Miss Liberty draped in a U.S. Flag, walking boldly into the future. Every year, millions of Silver Eagles are socked away by savvy buyers. Why? Besides their beloved beauty, each contains one ounce of 99.9% silver and is guaranteed by the U.S government! 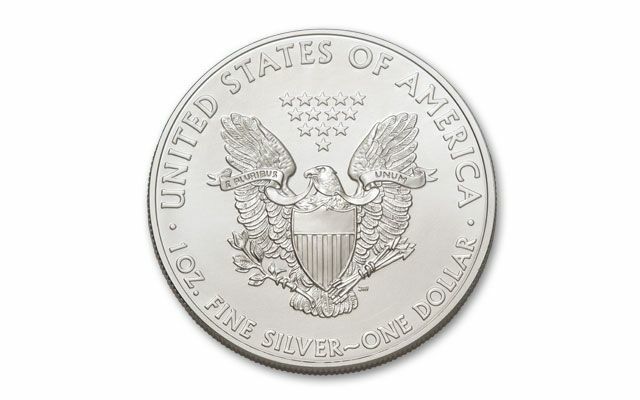 Today, the American Silver Eagle is considered one of the most beautiful coins ever produced and has become the most popular and widely collected silver coin in U.S. history - and arguably the world. 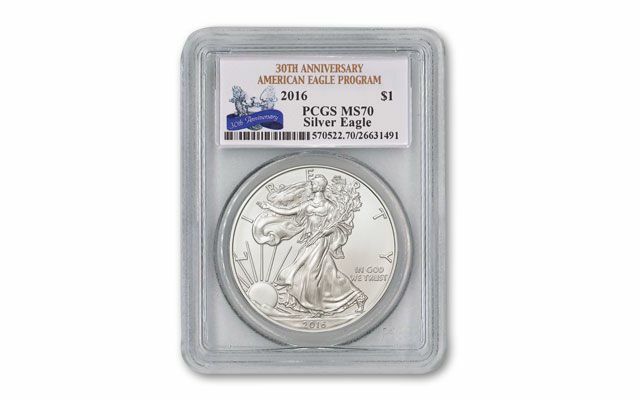 Here's your chance to get 2016 Silver Eagles from the U.S. Mint graded in perfect Mint State-70 condition (MS70) by Professional Coin Grading Service (PCGS). Each is sonically sealed to protect its provenance and has an exclusive flag label.